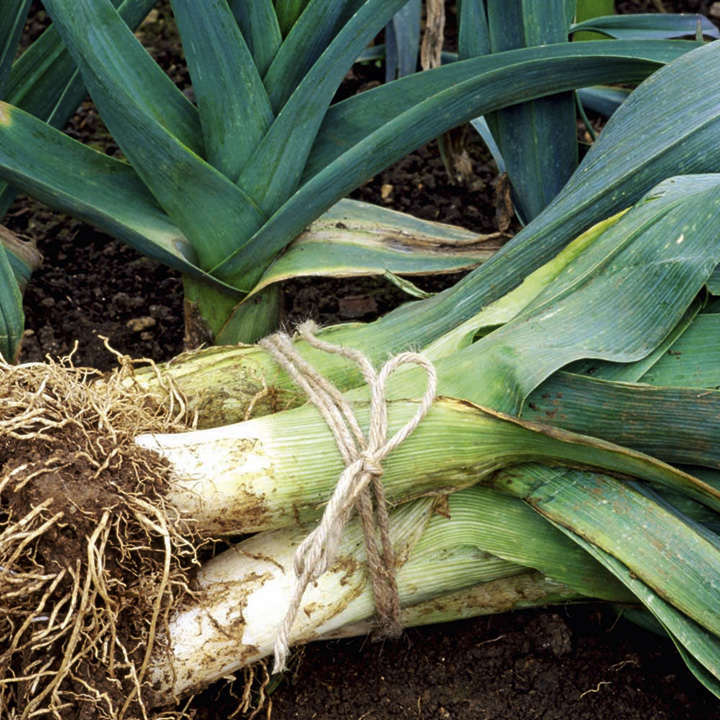 Enjoy a successional harvest of delicious leeks throughout the winter. Comprises: (January-March) - Comprises of 46 plants (23 of each variety) or 92 plants (46 of each variety). 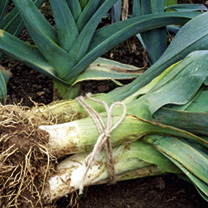 Poulton F1 (a short-shafted variety which produces high quality leeks with high density and attractive dark colour) and Vitaton F1 (an ideal partner to Poulton, allowing a supply of leeks well into the late winter). When it comes to continuity of production we feel the following selection is an important step forward for the home market. On Receipt - Remove the plants from the packaging immediately upon receipt. Check the compost is moist and water if necessary. All the vegetable plants can be planted immediately into a moist soil in the garden, provided conditions are suitable. Once planted water well to settle the soil around the plants. Soil Preparation - Vegetable plants require a well drained soil in a sunny position that has ideally been dug in the autumn. Prior to planting lightly fork over the area removing any weeds that have grown, and break down any large lumps. Apply a general fertiliser such as Growmore and rake into the surface. During the growing period keep the plants well watered in dry spells and keep weeds under control. 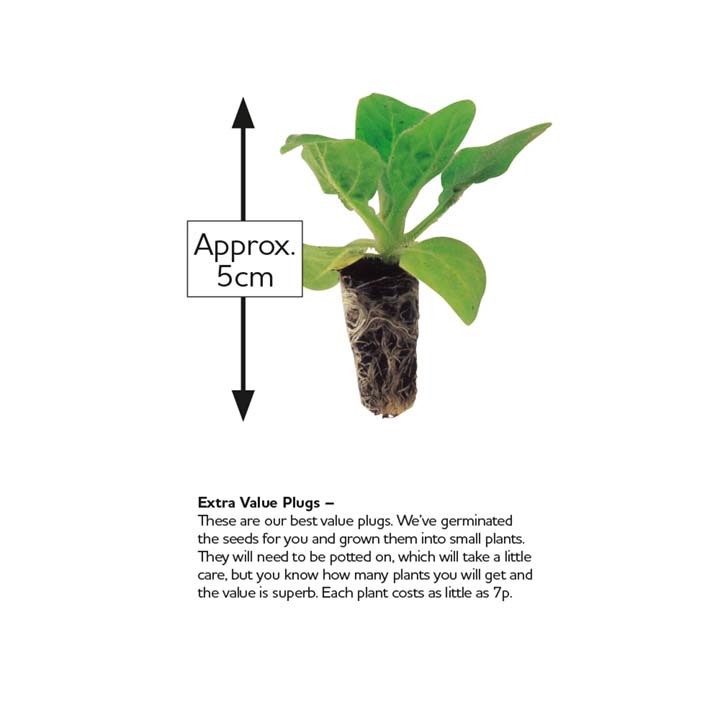 LEEK - The plugs may contain more than one seedling and they should be gently separated avoiding damage to the roots. 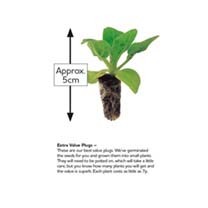 The plants should be spaced 23cm (9") apart and 30cm (12") between the rows. Place in the bottom of a hole 15cm (6") deep. Do not cover with soil but gently fill the hole with water. The hole will naturally fill with soil as time passes which will produce the white stem. Applying a liquid feed will help to thicken the stem but this should be stopped by late August.